Urban Eyecare is excited to announce the arrival of SALT. This Californian eyewear line is known for it’s timeless style and casual elegance. David Spencer Eyewear is our newest optical line that we are so excited to share with you! This line is designed with hints of inspiration from the 70’s combined with modern technology and colors. Urban Eyecare is happy to announce the arrival of our new vintage inspired…MOSCOT eyewear!! These newly-made frames are based on styles from the Moscot archives from the 1930s-1970s, retaining all the authenticity of the original frame style right down to traditional hardware! Urban Eyecare is honored to have been chosen as one of just a handful of specialty shops in the world to offer unique lines from RAPP. RAPP frames are designed and produced as part of a small family-owned business in Toronto. They have set themselves apart in the industry by producing the hippest, most inspired frames using Old World values and craftsmanship. Each frame is hand-finished using raw titanium and Italian acetate – unheard of in today’s mass production culture. And no line is ever repeated, ensuring that all designs are unique, and every frame is a bona fide limited edition. RAPP designers focus on two main principles: functionality and imagination. Their commitment to every line being a limited edition ensures that your frames are as unique as you are. 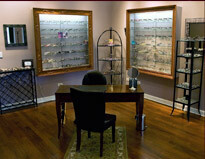 Come in today and see for yourself what RAPP frames created exclusively for Urban Eyecare. Don’t think of it as a shopping trip…think of it as a gallery crawl, as these frames are truly a collision of art and function.